Lift up your heads O ye powers in the High places of the earth! Lift up your heads O ye nations of the earth! Lift up your heads O ye western world allies that want Africa in perpetual slavery! Lift up your heads O ye Kingdoms of the earth because the ancient nation of BIAFRA is HERE! Hallelluyah! Halleluyah!! Halleluyah!!! 1. How ready are you should Nigeria government announce Biafra referendum to take place on September 1, 2017? 2. Have Biafran referendum Campaign reached your village, your town and your state or are you just satisfied with what is happening in City where you reside? 3. Have Biafrans around your yard, at your neighborhood, your work place, your school and your church known that Biafra referendum is few days away from today? 4. Should Nigeria government shock IPOB due to their already frustration on vehement demand for Biafra referendum and announce any shortest date as the day of Biafra referendum, do you think it will be reasonable for IPOB to say our people are not yet ready for the referendum? If your answers to these questions are "NO", don't you think that it is time for IPOB members and other Biafra enthusiast to begin to take Biafra referendum campaign to all nook and crannies of Biafra land? I do not always blame Nigerian mischievous media men, politicians and even commoners who always misconstrue Biafra as only Igbo people's project and Biafra land as only limited to Igbo speaking areas of South East. It is time for IPOB and Biafrans at large to as a matter of urgency take Biafra referendum jingles, symposium, workshops, seminars and town hall meetings to places beyond Igweocha (PH) city, Aba, Onitsha, Enugu, Asaba and Owerri. Let Biafra land Cordinator of IPOB organize Biafra referendum campaign in Warri, Sapele, Bonny, Bakassi peninsula, Oron, Calabar, Uyo and place the United Nations on notice that Biafra agitation is not limited to Igbo people of South East alone but also desired by people of South South as well. Let IPOB Directorate of State give order that IPOB Biafran referendum campaign billboards, posters, flexes be placed in the strategic places in every village of Biafra land. Even if Nigeria government agents remove these billboards or posters at where they are placed, let them be replaced as field evangelism should be intensified as well. 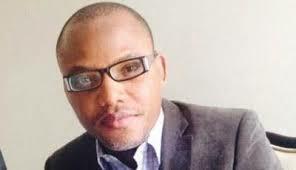 Biafra media warriors and media outlets are doing great although there still is room for improvement. Mischievous Nigerians who always described Biafra restoration project as only Igbo project seems to be vindicated as we only see Biafra jingles and programmes concentrated in Igweocha, Aba, Onitsha, Enugu and Asaba. More importantly, we need serious sensitization in the interior villages of South South for the Biafra referendum because it is easy for the political predators such as Rotimi Amaechi, Nyesom Wike, Timipreye Sylva and many others to use peanut change to decieve the traditional rulers of Niger Delta who will in-turn influence the gullible people against Biafra referendum. So, I am seeing handwriting on the wall that Nigeria government has started planning on how to conduct a referendum that will fail like Scottish referendum failed. Have we asked ourselves what Tony Blair come to do in Kaduna few days ago? British government has brought to Nigeria government the template of how they succeeded in making sure that Scotland referendum collapsed against Scotland. However, we do not need to fear about the antics of Britain with the collapsing house of the feudal lords of the Sahara called Nigeria, because Nigeria government has no intellectual heavyweights who can be able to play the game against Biafra as Britain did against Scotland. What Biafrans need to do is to put every hands on deck, reach every village in Biafra land with Biafra referendum campaign rallies, jingles, sympossia, town hall meetings and all the activities targeted at Biafra referendum because no village in Biafra is less important or insignificant in during Biafra referendum. As important as Port Harcourt, Onitsha, Asaba and Aba cities are, so are the Brass, Nembe, Otuoke in Bayelsa; so are Okrika, Bonny, Nkoro in Rivers; so are Bakassi, Ikom, Eket in Cross River and so are all the interior villages in any part of Biafraland. Ask youself "Will Biafra referendum succeed in these interior places in Niger Delta mentioned above"? If you think there is doubt about them, what do we do? Keep the answer to youself. I rest my case!